We have selected the best treadmills for professionals and beginners alike, featuring innovative models in every price range. You may be surprised, the most expensive treadmill is not always the best one. 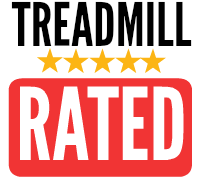 Below you will find reviews of both well-established and new brands. With all of the different brands and models to choose from, it can be very overwhelming. But don't worry! We've got you covered. Our team of fitness experts researched and compared the most popular treadmills based on their functionality and price range. We've divided them into categories, so you can choose which best fits your needs. If you are just starting and looking for a treadmill for home use, we recommend you to spend around $1000. The following comparison chart will help you pick the best treadmill for home use. If you want to stay in shape, having a treadmill in your home is very important. Whenever you fell the need to go for a walk or a long run, you don’t have to worry about the weather, simply use your treadmill. In order to choose the best treadmill model in this category, you need to consider few things – your budget, weight, and folding abilities of the machine. If you don’t want to spend a fortune, try the ProForm 505 CST Treadmill. It is the best treadmill for home use among budget models. It comes with apps and quick speed controls that are usually only available in some more expensive models. It’s easy to fold and store. And has a weight capacity that is even better than some of the more expensive models. Folding treadmills are convenient and can help you save space. Unfortunately many of them are built with a poor quality deck that is often noisy and unreliable. It’s relatively difficult to find a treadmill that offers solid and easy to use folding frame design. We had to go through many trials and errors before we found the ONE which is safe, durable and convenient. We believe Sole F80 Folding treadmill is the best folding treadmill so far. It can be easily repositioned by just flipping a switch. The deck will automatically fold itself for easy storage. This treadmill is built with commercial-grade components which ensure its durability and reduce the shock impact on your body. Commercial treadmills are totally different from treadmills for home use. They are more durable, require less maintenance, and offer lots of different features that one may not need at home. As a result, prices for commercial treadmills are significantly higher. Gyms and sport clubs are the main buyers of commercial treadmills. Commercial treadmills are often used by professional runners and athletes. You can find the best commercial treadmill here. Professional athletes use treadmills on a daily basis in order to stay fit and train for future competitions. That is why top shock absorption is a must when it comes to treadmills for runners. Athletes have to protect their joints from the harsh impact of running, and only top brands can offer innovative shock absorption technologies and comfortable running deck. The best treadmill for runners should also have advanced speed and incline control to simulate real-life terrains for those preparing for a race or marathon. That is why many professional runners look for treadmills with automated inclines. According to numerous reviews, Precor TRM 835 is regarded as one of the most popular treadmills for runners. It is the commercial treadmill designed for comfort, high performance and reliability. The innovative design of the deck ensures the highest level of shock absorption and stability. Precor TRM 835 offers 25 preset workout programs, a powerful 4.0 HP motor and ultra-sturdy frame. 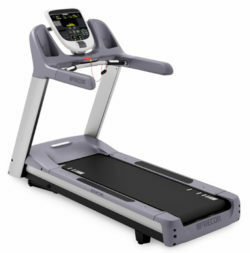 The combination of these unique features makes Precor TRM 835 treadmill a perfect machine for both commercial and personal use. Treadmills for walking should not only have decent shock absorption qualities, but also great incline and decline capabilities suitable for low impact exercises. Treadmills with automated inclines add variety to your training. Walking on an incline, you burn as many calories as if you run on a flat track. Consider buying a treadmill that has motor power at least 2.5 CHP, so if you want to start jogging or running you won’t have to replace your treadmill. Comfort and ergonomic design are another key features – everything must be in arm’s reach. Some of the best treadmills for walking offer a secure iPad holder, a water bottle holder, a cooling fan and compatibility with iPod. More expensive models come with a touchscreen and a built-in browser. Treadmills for walkers are normally budget-friendly. Compared to runners treadmills, you will spend much less money and still be happy with your machine. 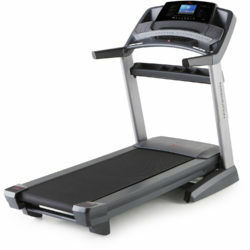 For example, the ProForm 505 CST is a great budget treadmill for walking. It’s also compatible with iPod and iFit. You can simply connect your treadmill to iFit and enjoy workout programs that mimic terrain data from Google Maps automatically adjusting its incline. With built-in speakers, you can listen to your favorite music while walking. For example, the ProForm 505 CST has a 2.5 CHP motor, a top speed of 12 mph, a 20″ x 55″ track, a maximum incline of 10%, and 18 preset workout programs – everything the best treadmill for walkers should have. Treadmills are normally very expensive. 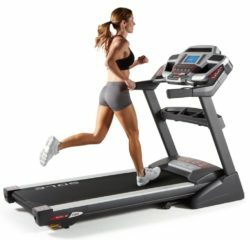 You won’t find a cheap 5-star treadmill with all the cool function, but you can still buy a decent machine that will offer a unique space saving technology, easy at-home assembly, and variety of built-in workout programs. The best cheap treadmill for you will depend on how you plan on using the machine – running, walking or both? We believe that The Pro-Form Pro 2000 the best cheap treadmill for runners and walkers alike. It offers 15 percent incline and 3 percent decline options, a powerful 3.5 CHP motor, an incredible 350 lbs weight capacity, and a 7” screen with 32 pre-loaded workouts. Overall it’s a great machine. The cheapest treadmill that we could find is the Smooth Fitness 800. It has no decline option, but if you’ll use it for walking and don’t need to simulate terrains when you run, then this machine will definitely save your money. Most shoppers look for the treadmill in the $1,000-to-$1,500 price category. For $1,500, you can easily buy a high quality treadmill that comes with advanced features, a solid frame, and built-in workout and entertainment options. The best treadmills under $1,500 are not only durable, but also have enough motor power for professional athletes and beginners alike. Our team tested several treadmills in this price range, and we believe that Sole F80 is the best treadmill under $1,500. The premium-quality Sole F80 Folding Treadmill is a powerful machine enhanced with 9″ display, a tablet holder, a super-sized 22″ x 60″ running surface, a 3.5 CHP motor, an incline of maximum 15%, and 10 preset workout programs. This model can be synced with FitBit, MyFitnessPal and other programs. If you are a professional athlete or small gym owner, you should go over $1,500 price point. The best treadmills under $2,000 feature more powerful motors of at least 4.0 CHP, great entertainment options, impressive program variety, and high-performance components. The best treadmills under $2,000 are more durable and have better shock absorption qualities. Our top choice for treadmills under $2000 is Sole Fitness F85. It features everything serious runners or walkers need. No wonder it has been a best seller for many years. Sole Fitness F85 has a powerful yet quiet 4.0 CHP motor, 400 pounds weight capacity, a spacious workout area, great cushioning, an automated 30-level incline, a 10.1-inch graphic workout display, a secure tablet holder, and a Bluetooth connection that let you use your tablet as the workout monitor and sync it with apps. The Sole F85’s comes with a five-year warranty on parts and electronics. If you are looking for a treadmill that will last for years if not for ever, you should go for the most luxurious options. The high-end treadmills come with impressive entertainment features, super powerful drive systems, commercial-grade components and shock absorption functions. The best high-end treadmills are durable, reliable and comfortable. There are many high-end treadmills, but we believe The Life Fitness Club Series Treadmill is the best option for home and commercial use. The Life Fitness Club Series Treadmill is a premium machine offering 22 workout programs, a 4.0 CHP motor, a premium-quality cushioning and incline up to 15%. Compared with other treadmills, Life Fitness tracks reduce the shock impact on joints by almost 30% thank to a patented FlexDeck system with durable polyurethane springs. Unlike cheap treadmills’ tracks, they don’t require waxing and maintenance. The standard warranty for parts protection is 10 years. NBC29 Martha Jefferson Monday – Which is Better: An Elliptical or Treadmill Workout?